Register today to enjoy fast and easy checkout. 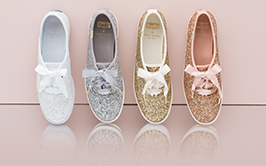 A keds.com/CA account allows you to store payment methods and addresses, check the status of orders, view your order history, select shopping preferences and save items in your shopping bag for up to 30 days. Forgot your Password? No problem. Go to Your Account, there you can view your password hint or have your password emailed to you. Go to Your Account and sign in to change any of your account information including shipping and billing information, your preferred payment method and your preferences regarding receiving keds.com/CA emails. Go to your email preferences to manage your email updates or unsubscribe from saucony.com emails.